Photo View Postcard. Multi. Cardstock. 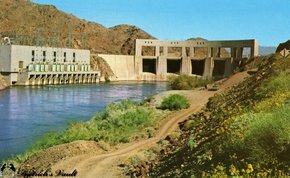 This glossy, full-color card is titled, "Parker Dam." Photo by Charles P. Kendall, Yuma, AZ. Unused.